Oprah Winfrey wrote a letter to talk show host Wendy Williams of The Wendy Williams Show (weekdays at 13:00 and 23:00 on BET, TopTV 190). Oprah Winfrey's letter says that Gayle King is still her best friend despite Gayle King leaving Oprah Winfrey's OWN TV channel to become a presenter on one of America's morning shows from 2012. With new American episodes of The Wendy Williams Show shown in South Africa on the exact same day, Wendy Williams today read a letter on Wednesday's episode she received from Oprah Winfrey. ''I love it when celebrities contact The Wendy Show to set the record straight. Cause that means that they're watching,'' Wendy Williams primed her studio audience. ''Well, recently ... Oooprah ....'' she said, and waited as the audience predictably started ''ooh-ing'' and ''aah-ing''. ''I know!'' said Wendy Williams with visible delight. ''Recently I talked about Oprah and Gayle's friendship possibly being on the rocks. It all stemmed from when I was talking about Gayle announcing she was leaving the OWN network for The Early Show on CBS. I received a letter and it goes like this: Dear Wendy ... I knooooow!'' said a giddy Wendy Williams, pausing and telling her audience that the original letter she got is ''upstairs in a vault in my office''. ''And then, look: 'Love, Oprah','' said a visibly delighted Wendy Williams. TOLDJA! M-Net moves its soap The Wild an hour later to 19:00 from 16 January 2012, citing 'recent market research'. M-Net couldn't be bothered to answer the questions I put to the pay broadcaster days ago in a media enquiry when I broke the news RIGHT HERE on Monday that the soap The Wild will be moving from 18:00 to a new timeslot of 19:00 from 16 January. Not known, and what I specifically asked about, was whether the timeslot change would affect on the M-Net digital channel on DStv, or also M-Net's terrestrial analogue channel which would have meant that eNuus gets bumped from 19:00. ''The timeslot change applies to satellite viewers - M-Net and M-Net HD on DStv - only. M-Net's terrestrial viewers (those with set-top boxes that only have M-Net) will still have their soap hour from 18:00 to 19:00, with The Wild at 18:00 and Binneland at 18:30,'' states M-Net's just-released general press statement, citing ''recent market research and feedback from fans of the series'' as the reason for showing The Wild later from 2012. M-Net says that ''the majority of terrestrial viewers love having an Afrikaans soap at 18:30 followed by eNuus at 19:00''. The press release also states that M-Net will have a The Wild special, entitled The Wild: The Story So Far on Wednesday 11 January at 20:30 - a summary catch-up show detailing what has been happening in the soap since it started in April. BREAKING. 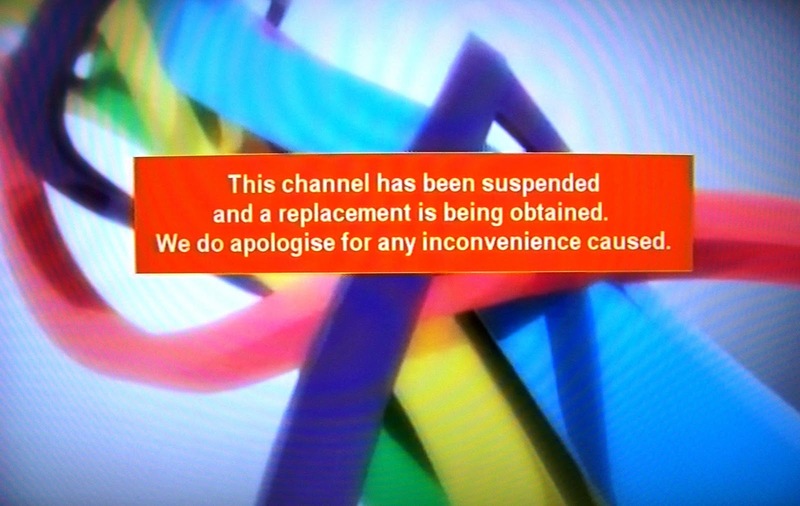 From Nolly to nothing: TopTV abruptly loses two channels as Hi Nolly and One Music disappear from pay TV operator's bouquet. TopTV giveth and TopTV taketh away: Without any warning, any explanation, and not telling the press, two TopTV channels, Hi Nolly (TopTV 120) and One Music (TopTV 506) have both abruptly disappeared - with TopTV only displaying an on-screen message on both channels saying ''this channel has been suspended''. TopTV subscribers are completely in the dark about what happened to the channels, with TopTV only telling subscribers on both the Hi Nolly and One Music channels that ''a replacement is being obtained''. ''We apologise for any inconveniece caused''. With South Africa's Consumer Protection Act in full force, TopTV subscribers will be able to demand a refund under section 61 of the act because the service promised is not being delivered. One Music used to play ''the best of African and international hits'' while Hi Nolly showed Nigerian and African movies and entertainment shows. Neither Hi Nolly or One Music will likely be back on-air soon. Both channels originate from Lagos in Nigeria, run by Entertainment Highway's satellite TV service, HiTV, which came to an abrupt operations end. HiTV's offices was locked and sealed by Nigerian police allegedly due to billions in unpaid debt this week. Guaranty Trust Bank in Nigeria is demanding payment from HiTV on a loan fascility. HiTV staff are locked out and all HiTV servers - responsible for the channels on it such as Hi Holly and One Music - are shut down. Responding Wednesday morning to a media enquiry made by TV with Thinus regarding the missing channels, TopTV says ''we have been informed that the channel operator, Hi Media was placed under liquidation order''. Sky News refreshes is on-screen lower third banner making it bigger and more complementary to the black and white news ticker. Sky News (DStv 402) today refreshed its on-screen lower third digital graphic captions (or chyrons) changing the main banner to black text on white, and making it bigger. It looks cleaner and also has a slight 3D edge. 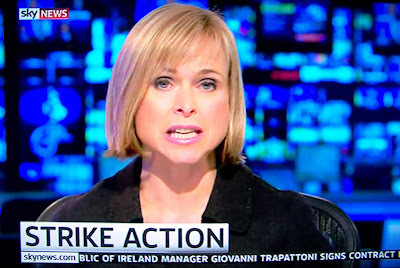 Sky News also uses a similar bigger caption banner but with white text on a red banner for some stories. Scared Middle Eastern governments pressured Al Jazeera to back off and change coverage, says former director Wadah Khanfar. Scared Middle Eastern governments pressured Al Jazeera (DStv 406 / TopTV 401) to back off and change its coverage after the Egypt revolts started in 2010, fearing they might be next, Al Jazeera's former director Wadah Khanfar has told the Global Editors Network Summit taking place in Hong Kong. According to journalism.co.uk, Wadah Khanfar told delegates that Al Jazeera came under increasing pressure from governments across the Middle East after civil unrest in Egypt. He said that ''other countries feared that ''they would be next'' and that the Al Jazeera's coverage would help ''train people in their countries about how to revolt''. He said Al Jazeera had experienced pressure for the past 15 years but that it increased since last year. He said the world needs ''journalist of depth'' and which is what Al Jazeera tries to provide. ''We are there because we have been asked to investigate ... we have to fight to keep journalism and investigating alive." 26% of DStv Premium subscribers sign up for DStv BoxOffice; breakdown of MultiChoice's latest PVR subscriber numbers. Without providing specific subscriber numbers, DStv BoxOffice, MultiChoice's video-on-demand (VOD) service that was launched late in July 2011, managed to get a whopping 26% of DStv PVRs registered by the end of September 2011. Since DStv BoxOffice for now is only available to DStv Premium subscribers, it means that a quarter of all DStv Premium subscribers in South Africa are registered on the service after just over 2 months which is phenomenal. Out of the new 209 248 DStv subscribers within South Africa that signed up for pay TV with MultiChoice, DStv Premium grew (accounts for) 2%, DStv Compact grew by 13%, DStv Select grew by 18%. Subscribers using a PVR decoder grew by 19%. MultiChoice's PVR subscribers in South Africa have increased from 416 665 PVR subscribers in September 2010 to 571 098 PVR subscribers by September 2011. MultiChoice's PVR subscribers in Africa have increased from 73 739 PVR subscribers in September 2010 to 89 177 PVR subscribers by September 2011. M-Net analogue viewers are sharply continuing to decrease. M-Net analogue viewers went from 98 677 in September 2010 to 73 549 by September 2011. ALSO READ: MultiChoice adds another 209 248 new DStv subscribers in South Africa; grows total subscriber base to 3,7 million households. The Kindler Tapping and Wood Bakery in Sanctuary has ''nice buns!'' in a clever visual in-joke. It's clever; it's just a second, and if you blink you'll miss it: The Kindler Tapping and Wood Bakery in Sanctuary (''Nice buns!). The 4th season of Sanctuary that recently started in America but will only be seen in South Africa on M-Net Series (DStv 110) from September 2010, just had a nice little ''easter egg'' and visual in-joke in the latest episode. A camera pans down a wall at the start of a new scene and shows the TV viewer the ''Kindler Tapping and Wood Bakery'' painted on a wall. Of course it's nothing other than a clever shout-out to Sanctuary's executive producers, Damian Kindler, Amanda Tapping and Martin Wood. BREAKING. MultiChoice adds another 209 248 new DStv subscribers in South Africa; grows total subscriber base grows to 3,7 million households. MultiChoice has added another 209 248 DStv subscribers in South Africa - more than half coming from the cheaper DStv Compact bouquet - and increased its revenue by 14% to R11,6 billion. Naspers just released its interim results for the 6 months to 30 September, with its pay TV subsidiary MultiChoice indicating that DStv subscriber households have grown to 3,7 million in South Africa. More than half of the 209 248 new DStv subscribers - 142 000 - are DStv Compact subscribers, the cheaper MultiChoice pay TV offering. In the rest of Africa MultiChoice also grew its subscriber base by 60 000 subscribers to 1,5 million DStv households. The cheaper DStv bouquets, DStv Compact and DStv Family now represent 41% of the overall subscriber base. ALSO READ: 26% of DStv Premium subscribers sign up forDStv BoxOffice; breakdown of MultiChoice's latest PVR subscriber numbers. BREAKING. 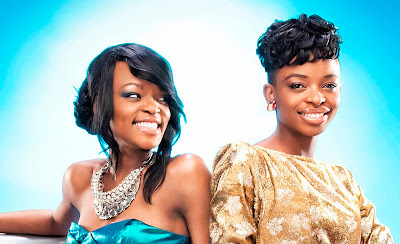 Blame it on Fame set to return to e.tv for a 2nd season in 2012 as twins Hlelo and Ntando Masina click with viewers. 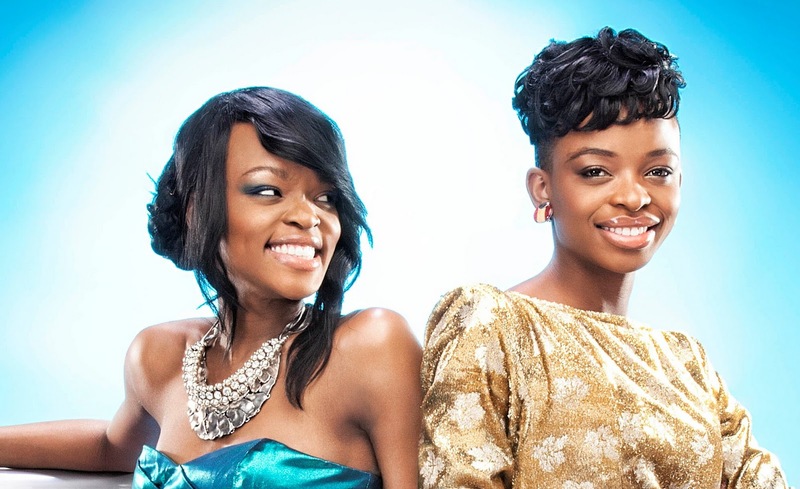 I can exclusively first break the news that Blame it on Fame, the sparkly new local reality show with two's-a-crowd twins Hlelo and Ntando Masina will be back on e.tv for a second season in 2012. Blame it on Fame which started in September on e.tv and which concluded its first season on the red letter broadcaster yesterday has been renewed for a second season which viewers will hopefully see in 2012. Blame it on Fame is produced by Rapid Blue. ''Yes, we are currently engaged in planning for another season with the Twins,'' Monde Twala, e.tv's channel head tells TV with Thinus. ''The next season will be upping the pace and unveiling new twists and turns within their day to day challenges. The channel is pleased with the show and its appeal to showcase real up and coming celebrity lives,'' says Monde Twala. OPINION. With time running out, there's this award show South Africans wouldn't even know they could enter for. 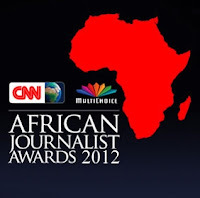 Don't expect too many South African journalists or entries from South Africa for the CNN MultiChoice African Journalist Awards 2012. Virtually nobody in South Africa knows about it since neither CNN nor MultiChoice bothered to let anyone in South Africa know. With time running out with journalists to enter (only 57 days today) it's been interesting for me to track the last while how countries from Nigeria to Tanzania and elsewhere have stories about the awards calls for entries. It's probable that local MultiChoice offices there issued some kind of information - possible press releases and call to entries. South Africa? Nothing. Of course South Africa's publications who are big press release regurgitating operations with lots of journalists who write only (and only when) they get a press release and mostly just run it as they get it, didn't get anything and are therefore not doing anything. And you'll have to look much harder to find stories about the award ceremony and winners of 2011 than previous years, since that was also markedly down from the coverage the competition got in previous years. Usually by now there would not only have been a call to entry press pack with full details coming from both CNN International as well as MultiChoice for the new competition, but multiple follow-up press releases and information regarding judges, and the award ceremony as part of a stacking approach to grow and build interest in entries. Not a single thing so far this year as far as I'm aware for South Africa. 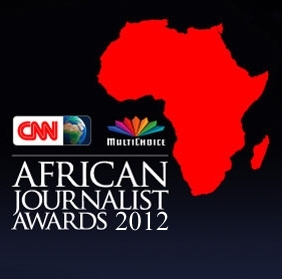 Why CNN International and MultiChoice South Africa isn't really doing anything to tell people about the 2012 I don't know; just notable that less energy seems to be put into it that what used to be the case in the past. The result? My guess would be for a lot fewer entries from South Africa this year, with less (if not nothing) done by whoever is supposed to be actually promoting this thing. And of course press that care less. Programming note: 3rd Degree tonight on e.tv looking back and following up on popular and award-winning stories this past year. The investigative magazine show 3rd Degree tonight at 21:30 on e.tv is once again doing its regular update show, looking back at some of the year's popular stories and following-up with the subjects and people to see what's happened since. Tonight's 3rd Degree update show will revisit the elephantiasis sufferer Nana Ntombela in her home in rural KwaZulu-Natal, will talk about the Dewani extradition case and follow-up on various government actions (or inactions) following exposes on tender corruption. The past year has also been a great year for 3rd Degree that won four awards for its work. The show will look at these award-winning stories that's been recognized by judges for outstanding journalism. BREAKING. The Wild on M-Net in a big timeslot change; moving from 18:00 to 19:00 from 16 January as the soap looks for more viewers. Let me be first to break the news that The Wild on M-Net is set to undergo a big timeslot change, moving from its current 18:00 timeslot to an hour later at 19:00 from Monday 16 January in a move that will possibly attract more viewers. The change for the 10 month old soap that launched in April in the 18:00 timeslot and which can also be seen on sister channel Mzansi Magic, comes as Mzansi Magic (DStv 107) is readying its own new local soap for 2012 entitled Matchbox (working title) and a telenovella Desire (working title). The latest week's (week 46) viewership pegs one episode of The Wild managing to grab the 9th place on M-Net's top 10 most watched shows for the week, much lower than Egoli which it replaced since April and was always 1st or 2nd. Whether the timeslot move of The Wild to 19:00 from the middle of January will just be affecting the digital M-Net channel on DStv or the terrestrial analogue M-Net channel as well, is not know. The timeslot move to boost viewership for the soap should be helped by a concurrent soap wedding for The Wild as well, which is taking place over two days a few days after the move to 19:00. Meanwhile M-Net's terrestrial analogue broadcast carries a simulcast of eNuus at 19:00 at the same time as eNuus on kykNET (DStv 111). That means that M-Net terrestrial analogue viewers will from 16 January - should The Wild move to 19:00 on that transmission as well - no longer see eNuus at 19:00 (and therefore no longer see eNuus live). From 16 January The Wild will also be competing against news bulletins on SABC2, SABC3 and e.tv in its new 19:00 timeslot. Officially M-Net's not given any reasons for the timeslot move yet. South African television's best and longrunning weekly investigative magazine show, Carte Blanche on M-Net, came out with guns blazing earlier this evening against the government's draconian Protection of State Information Bill set to clamp down on South African press freedom and journalists, and citizen's right to information. 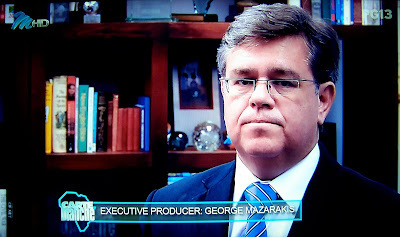 In dramatic visual fashion Carte Blanche's acclaimed and highly respected executive producer George Mazarakis suddenly appeared on air during Sunday evening's broadcast on M-Net, denouncing the South African government's attempt to curtail press freedom in South Africa and clamping down on people's ''right to know''. In September Carte Blanche anchor Derek Watts in a scathing editorial within the show, said ''why do we need the Protection of State Information Bill to stifle journalism and hamper media freedom? Where in our short democratic history has that freedom led to any direct harm to the government as a whole or to our country?'' Derek Watts said ''this is the first stage of turning South Africa into another state where media freedom is virtually extinguished''. In a visually jarring and eye-popping editorial - possibly foreshadowing the shape of things to come - George Mazarakis appeared Sunday night on screen in Carte Blanche on M-Net. 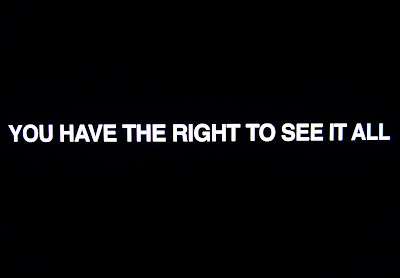 ''Carte Blanche's slogan is 'you have the right to see it all'. 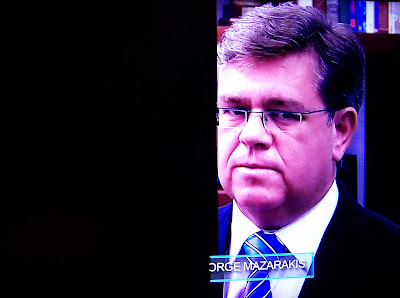 The new Protection of State Information Bill will effectively prevent that,'' George Mazarakis said solemnly. Then a black screen quickly started to black him out as he spoke. ''If the bill is passed into law, it will stop you from getting the full picture. 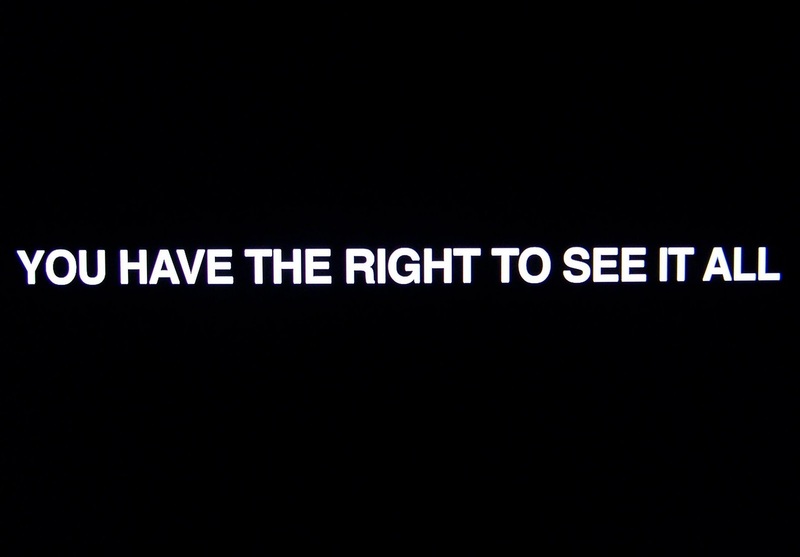 We stand by our promise to fight for access to information and to uphold you're right to see it all,'' said George Mazarakis as eventually the whole screen went pitch black. The widely respected Derek Watts also weighed in on the controversial Protection of State Information Bill in the same episode on Sunday saying that it's been a week that ''has seen parliament move a step closer to muzzling the media with the passing of the Protection of State Information Bill''. Carte Blanche, produced by Combined Artists, and which have won hundreds of awards locally and internationally for investigative work, currently holds the record for the longest running, uninterrupted TV show (local show as well as overall TV show) seen in South Africa. Programming note: Nikiwe Bikitsha anchoring News Night on the eNews Channel on her own all week from Monday. 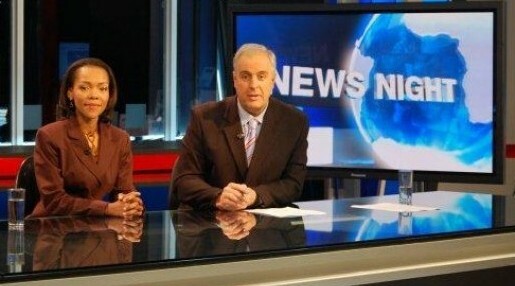 Nikiwe Bikitsha will be solo-anchoring News Night on the eNews Channel (DStv 403) this coming week from Monday to Friday from 18:00 to 21:00 since her News Night co-anchor Jeremy Maggs will be in Durban at the United Nations Climate Change conference, COP17, from where he'll be reporting. e.tv told TV with Thinus that no temporary replacement as in-studio News Night co-host is planned. Nikiwe Bikitsha - although it won't be her first time - will be presenting solo. Jeremy Maggs will be field reporting from Durban for the week. Programming note: Larry King Special: A Dinner with Kings coming to CNN International on Christmas Day for South African viewers. South African viewers will be able to tune in for a Larry King Special: A Dinner with Kings that will be shown on CNN International (DStv 401) on Christmas Day, 25 December at 04:00 and 13:00 (South African times). While the Larry King Special: A Dinner with Kings will be shown on CNN in America on 4 December, CNN International told me when I asked last week, that South African viewers will get to see it as well. 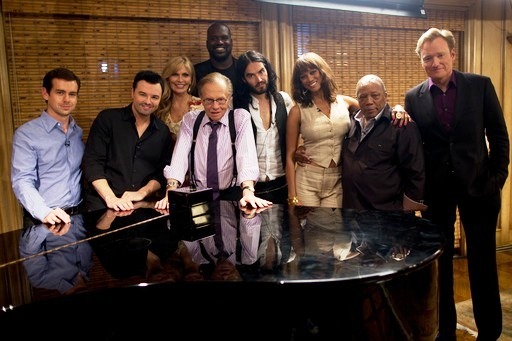 Dinner with Kings is described as ''a dinner party with some of the biggest names in Hollywood" in which Larry King talks to Conan O'Brien, Tyra Banks, Russell Brand, Shaquille O'Neal and other Hollywood guests for the hour long special. The dinner was prepared by celebrity chef Wolfgang Puck. Other guests include Twitter and Square founder Jack Dorsey, Quincy Jones and Seth MacFarlane. The dinner guests talk about life, love, insecurities, success and failures. 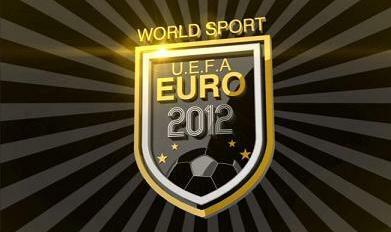 Programming note: CNN International looking ahead all through the week to UEFA Euro 2012 with a series of special reports. From tomorrow, Monday 28 November, CNN International (DStv 401) will be counting down to this coming Friday's UEFA Euro 2012 finals draw with a week-long series of special reports and feature programming about 2012's tournament. CNN International is dedicating a week of special programming to the championships as football expert, Pedro Pinto, travels to Poland and Ukraine to anchor a week of special reports that will peer inside one of the world's most-watched sporting events. Pedro Pinto will look at the personalities, infrastructure, fans, history and venues that will take centre stage on TV screens worldwide next year. Interviews include UEFA president Michel Platini, and the legendary former AC Milan striker Andrei Shevchenko. Pedro Pinto will also meet the former Danish goalkeeper Peter Schmeichel, and one of the world's greatest ever players, Zinedine Zidane, to hear what the Euro Championships conjure up for them. CNN International will also be examining the host nations' infrastructure and stadia. In a daily feature on CNN International leading up to the draw, Pedro Pinto will look at the runners and riders in the tournament, picking out the players to watch and asking who can stop the all-conquering European and World Champions, Spain. ''''Euro 2012 is a global event, of interest far outside the continent itself, with some of the greatest footballers in the game taking part,'' says Mike McCarthy, vice president of coverage and feature programming for CNN International. ''It's also a cultural festival and a huge logistical undertaking, and we want to get under the skin of all the stories that are emerging ahead of the draw, and picking up some of the threads that we'll be following all the way to the tournament itself next summer,'' says Mike McCarthy. CNN Internationl will also present a half hour special UEFA Euro 2012: The Final Draw on Saturday 3 December at 10:30, 19:30 and 00:00 (South African time) and Sunday 4 December at 09:30. 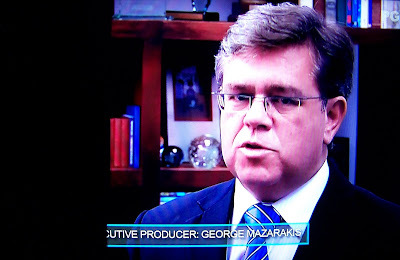 Contestants can enter Top Trader, a new local reality show set to start in 2012 on CNBC Africa. In 2012 CNBC Africa (DStv 410) will broadcast a new local reality show entitled Top Trader with presenter Eleni Giokos looking for the best stock market trader from 11 July, with weekly episodes that will end with a live finale on 28 August 2012. CNBC Africa says Top Trader will ''follow the trials and tribulations of South Africa's top amateur traders as they search for the winning combination to walk away with R250 000 in prize money''. Top Trader contestants will compete in different locations in and around Santon and Johannesburg each week, while a panel of so-called ''mentors'' will guide and advise the contestants. ''Top Trader is part of a new suite of programmes being launched in 2012 and plugs a definite gap in the market,'' says Godfrey Mutinzwa, CNBC Africa's chief editor. People who want to enter Top Trader can do so at http://www.abndigital.com/ and will have to submit a video and a written application. Entries for Top Trader will close on 31 January 2012 says CNBC Africa. Production on Top Trader will start in February 2012. 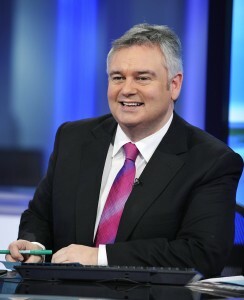 Eamonn Holmes signs a new 3 year deal to remain on Sky News' breakfast show Sunrise. Eamonn Holmes has signed a new three year deal to remain the anchor of the breakfast show Sunrise on Sky News (DStv 402), Sky News has announced in a press statement. Eamonn Holmes joined Sky News in 2005, and is paired with presenter Charlotte Hawkins, sports presenter Jacquie Beltrao and weather reporters Isobel Lang and Nazaneen Ghaffar. ''I’'ve had a really fulfilling six years at Sky News. I have a tremendous team on Sunrise and we know from our audience feedback that people enjoy starting their day with the way we deliver the news. I look forward to helping to grow our morning audience and for those who haven't given us a try, all I can say is 'Switch to Sky','' says Eamonn Holmes. INTERESTING. 'You are being watched.' 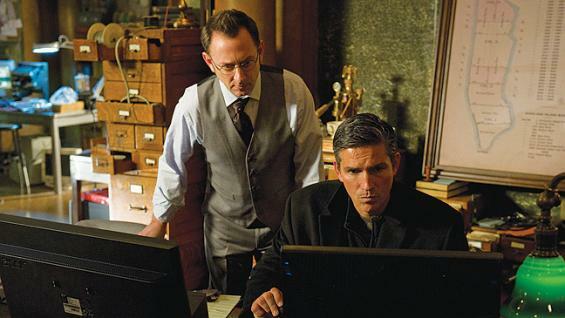 Person of Interest starting on M-Net Series on Thursday 19 January at 20:30. 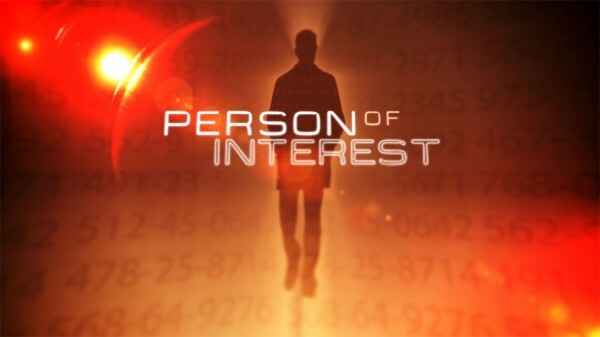 Interestingly, M-Net has acquired the broadcasting rights for the new procedural drama Person of Interest with executive producer J.J. Abrams, but the pay broadcaster announced on Tuesday that the new hour long drama's first season of 22 episodes starting on Thursday 19 January at 20:30 would be going to M-Net Series (DStv 110) and not the M-Net channel (DStv 101). In Person of Interest, with Lost's weirdo Michael Emerson (whom I've met and interviewed years ago and is delightfully scary in real-life and is once again wonderful in this new drama) plays a mysterious billionaire, only known as Mr Finch. He's developed a super-sophisticated computer system than uses public surveillance footage and other public data to determine what people will be involved in a crime soon - but not whether they'll be the perpetrator or the victim, or what exactly the crime will be. Mr Finch teams up with an ex CIA agent, Jim Reese (played by Jim Caviezel - or as one of my friends funnily put it a few weeks ago ''Oh look, Jesus is now doing CSI'') to try and prevent the crimes from occuring, or figuring it out as it happens as opposed to afterwards. Person of Interest is The Mentalist meets Minority Report. The interesting thing is that Person of Interest is doing very well in America where it just started, yet M-Net decided to allocate the show to M-Net Series, although it's similar to CSI: New York and The Mentalist. Person of Interest would presumably actually do very well on M-Net (DStv 101) instead of the more boring and predictable shows such as CSI: Miami, NCIS: Los Angeles and the like. Person of Interest set in New York is terrific, the pacing very well, the stories and plotlines unpredictable, and there's of course the overall slowly-advancing backstory of the enigmatic secrets of the two main characters that's very intriguing. Programming note: France 24 covering Egypt's legislative elections with special weekend pre-programmes; special live coverage on Monday. The 24 hour English news channel France 24 (TopTV 402) will be covering Egypt's legislative elections taking place this Monday, 28 November, with special live coverage and special reports on the day, as well as special pre-programmes today and Sunday. On Monday 28 November France 24 will have several reports about what's at stake in this Egyptian election in the Live from Paris morning show as well as in bulletins. Focus at 07:15 will have a lengthy report with commentators and correspondents in Egypt. The Debate at 19:10 with presenter François Picard with guests, will analyse the election's initial trends. Paul Robinson, co-founder and global CEO of KidsCo reportedly out as Hendrik McDermott takes over as managing director. Axed? Paul Robinson, the co-founder and global CEO of the children's channel KidsCo (TopTV 255 / DStv 308) seems to have been pushed out, although KidsCo isn't commenting. The TV trade publications C21Media and TBIvision both this week reported that Paul Robinson is no longer with KidsCo. I asked, but KidsCo had no comment. According to TBIvision Hendrik McDermott from NBCUniversal is taking over as managing director of KidsCo for the time being. KidsCo is a joint venture between NBCUniversal, Cookie Jar and Chorus. 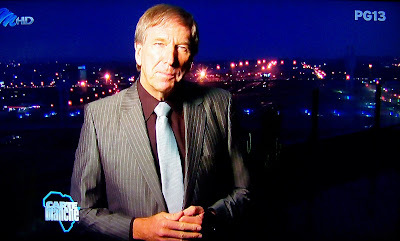 Programming note: eNews Channel has staff of 25 covering COP17 from next week in Durban; pre-packaged 60 special inserts. The eNews Channel (DStv 403) will have a team of about 25 people covering the United Nations Climate Change conference (known as COP17) from Monday in Durban, including News Night co-anchor Jeremy Maggs. As TV with Thinus scooped weeks ago, and now confirmed by e.tv, eNews Channel weather guy Derek van Dam will be seen during the week doing a series of pre-recorded weather and environment related inserts on the news channel. 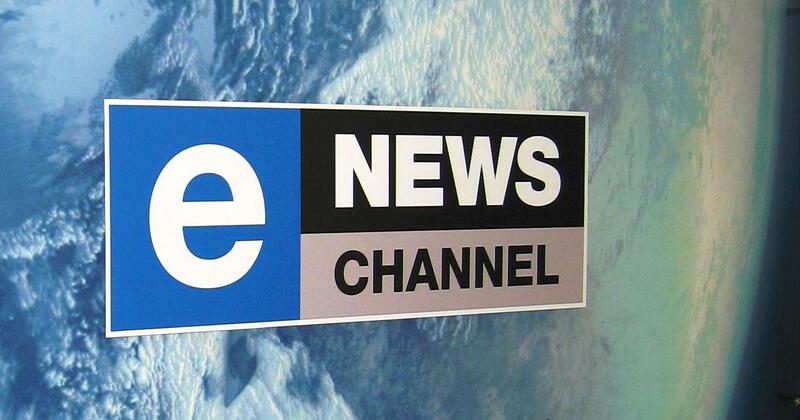 Five eNews Channel reporters will be seen doing stories, including Paula Chowles, Serusha Govender, Belinda Moses, Vanessa Govender and Dasen Thathiah. They'll be reporting from all of South Africa's provinces, as well as from America, China, Kenya, Rwanda, Nigeria and Mozambique. The eNews Channel now confirms that 60 inserts has been pre-recorded, with 3 that will be shown per day. A special line-up of guests (no names announced) have been invited to Morning News Today, News Day and News Night. TOLDJA! The lost Expedition Impossible on SABC3 (that's actually going to be on M-Net) replaced by Real Housewives on SABC3. Exactly as TV with Thinus broke the news RIGHT HERE on Tuesday that SABC3 doesn't have the reality show Expedition Impossible the broadcaster claimed to have (and which will actually be starting in early February on M-Net) SABC3 just said that SABC3 will ''not be able to broadcast Expedition Impossible''. In a highly embarrassing situation for SABC3, Expedition Impossible's Monday timeslot on Mondays during which SABC3 showed filler programming the past two weeks, The Real Housewives of Orange County will now start. SABC3 is not giving reasons, just saying Expedition Impossible will no longer be broadcast ''for reasons beyond our control''. SABC3 in September said it had the show. M-Net now actually has Expedition Impossible. The Real Housewives of Orange County will be followed by Survivor Samoa starting on SABC3 on 23 January. SABC3 still expected, and waited for the video cassettes for Expedition Impossible to arrive earlier this week. SABC3 had no idea that the broadcasting rights went to M-Net. 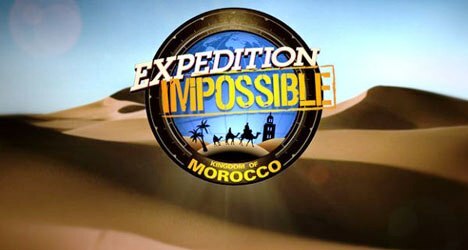 SABC3 still ran on-air promos and sponsor adverts by RCS for Expedition Impossible until yesterday that was not yet pulled off air. SABC3 haven't yet responded to media enquiries I made on Tuesday as to what happened and resulted in SABC3 losing Expedition Impossible, but said on Tuesday it would respond by latest yesterday. BREAKING. TopTV planning video-on-demand (VOD) for 2012; will roll out its PVR in 2012 now taking priority over adding HD channels. I can exclusively break the news that On Digital Media (ODM) running the TopTV pay television service in South Africa is planning a video-on-demand (VOD) service for 2012 which will form part of TopTV's PVR roll-out next year. While I've been aware of TopTV's VOD plans and that the pay TV operator started work on it a while ago, the failure of any of TopTV's previous announcements regarding new TV channels - the addition of HD channels, the acquisition or compilation of a sport channel and the roll-out of a PVR - none of which materialized, made me unwilling to share this information earlier. None of the further commercial services developments TopTV said at launch would happen later in 2010 happened. Again in January 2011 TopTV primed the TV industry for a sports channel, HD channels and a PVR which the company promised would be rolled-out in 2011 but none of that happened this year either. It all created a credibility problem for the pay TV operator with TopTV announcements made by CEO Vino Govender that's no longer being taken seriously. I can however now reveal that TopTV still has PVR plans and that although planned and promised for 2011, that the TopTV PVR will now be released in 2012. I can further reveal that TopTV has shifted its main focus from the addition of HD TV channels (although it's still important) to the PVR which will come with video-on-demand (VOD) capability. MultiChoice launched their DStv BoxOffice VOD service in July (remember when I broke that news?) and SouthTel is getting ready for an early 2012-launch of its VOD:TV service in South Africa and surrounding countries. About the addition of new TV channels TopTV is still quiet and appears to have capitulated regarding a sports channel due to tied-up and expensive sports broadcasting rights. TopTV is delicately fostering the brand perception that TopTV won't be a carried of premium sport content. At the beginning of the month I broke the news RIGHT HERE that TopTV has now surpassed the 300 000 subscriber mark, which TopTV says they're ''happy with in terms of business forecasts and our growth plans''. TopTV is still planning HD TV channels but is no longer attaching specific dates to that (or not official dates it's willing to share with the press). The PVR, which would enable time-shifted viewing (TSV) and allow subscribers to record shows, is now TopTV's main priority since that would drive advertising revenue faster since it would increase the amount of TV watching TopTV subscribers do. It could be explained in this way: While the addition of HD channels could help drive TopTV's subscriber growth, the overall impact of a PVR on the TopTV business bottom-line will be bigger as it aids subscriber retention and curbs churn, and increases loyalty or ''sticky-ness'' - subscribers spend more time in front of the telly translating to more watching and more TV commercial watching. ''TopTV is still planning a release for high definition, but following research and input from subscribers we realize there is more demand right now for the PVR, which is what we're focusing on,'' TopTV tells me. BREAKING. 'The issues at the SABC are huge; very difficult and very complex,' says dr Ben Ngubane, SABC chairperson. 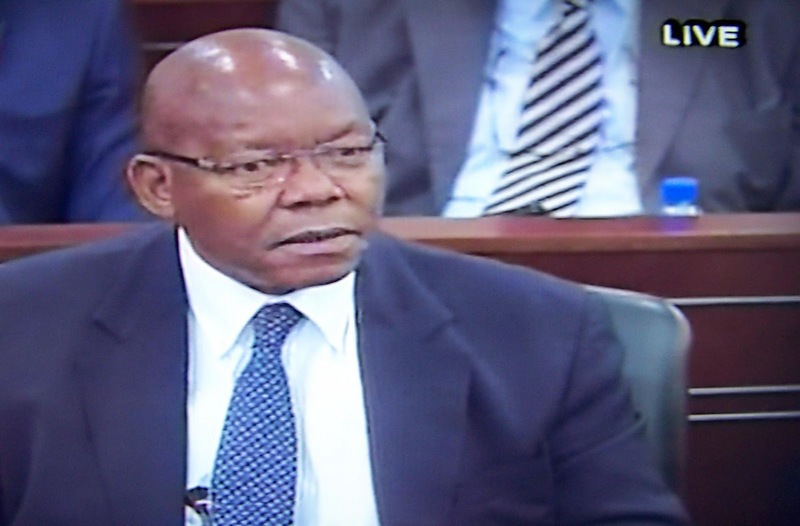 ''The issues at the SABC are huge; very difficult and very complex,'' says dr Ben Ngubane, the SABC chairperson. Dr Ben Ngubane was speaking today in parliament to give feedback on the state of the South African public broadcaster and told parliament's portfolio committee on communications that ''a lot of work still remains''. ALSO READ: Dr Ben Ngubane, the SABC chairperson, must be removed asks public pressure groups, trade unions and TV industry federations. BREAKING. A 'war room' created for the SABC to deal specifically with the public broadcaster, within the department of communications. A ''war room'' is being set up within South Africa's department of communications to deal with crisis management regarding the SABC. The new minister of communications, Dina Pule, revealed to parliament today that a ''war room'' is being created within the department of communications. ''When I looked at the challenges that we have, I thought they [SABC] need a war room,'' said Dina Pule. Dina Pule's presentation at the portfolio committee on communications noted operational inneficiencies at the SABC, noting that ''concerns relating to operational inefficiency need to be addressed by the SABC management urgently'' and that ''the key executive positions of group CEO, chief financial officer and chief operating officer are still vacant, posing a management challenge'' at the SABC. Members of the portfolio committee welcomed the decision to create a war room within the department of communications to deal with the SABC so that you can ''see what has to be done, and what has been done. This will be a very critical component of the roll-out of the SABC's turnaround strategy''. ALSO READ: Minister of communications Dina Pule can't give parliament a report on the SABC's loan guarantee, ''needs time to familiarise myself with the SABC''. Minister of communications Dina Pule can't give parliament a report on SABC's loan guarantee, 'needs time to familiarise myself with the SABC'. 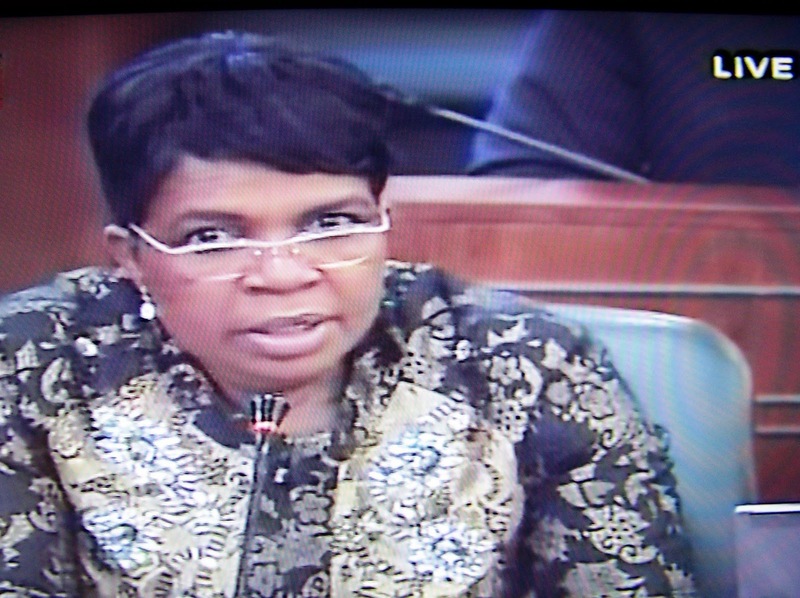 The new minister of communications, Dina Pule, told parliament's portfolio committee on communications today that she can't give feedback on the SABC - especially the government's loan guarantee of R1,4 billion made to the SABC in 2009 - and requested an extension to first get up to date with the affairs of South Africa's public broadcaster. Meanwhile Dina Pule revealed that the SABC wants the targets of the loan guarantee to be changed and that the department of communications is looking at that. ''I'm only two weeks at the department and it can only be fair that I be given an opportunity to try and understand and find my feet in the department. There's things I need to familiarise myself with the SABC,'' she said. South Africa's government provided a government guarantee to the SABC in 2009 to secure a loan from Nedbank. The loan was intended to relieve the financial crisis at the SABC. This guarantee was provided on the basis of commitments made by the SABC that it would develop and implement a turnaround plan. The SABC's ability to repay these funds is dependent on the successful implementation of this turnaround plan. Dina Pule revealed that the SABC wants the targets of the government loan guarantee to be changed and said that she is currently studying the business case that underpins the request ''to revise the targets for the government guarantee, and will then make a decision''. ALSO READ: A ''war room'' created for the SABC to deal specifically with the public broadcaster, within the department of communications. BREAKING. Expedition Impossible to start on M-Net in February as SABC3's massive programming mess is now M-Net's gain. TV with Thinus can exclusively break the news that Expedition Impossible, the big brand-new reality show by Mark Burnett that was supposed to start two weeks ago on SABC3, has jumped to M-Net with the pay broadcaster which will start showing Expedition Impossible from February 2012. It's a shocking turn of events for SABC3 that has bungled the start of the show, telling press and TV critics as late as this past Friday at the SABC3 quarterly press screening that SABC3 will inform and tell when Expedition Impossible will be starting on the channel since the starting date had to be pushed out a bit. Now it's clear that SABC3 won't be having Expedition Impossible at all. SABC3 hastily padded the schedule with filler the past two weeks after the conclusion of The Ride, first with a Miss World 2011 repeat and then a Michael Flatley stage performance - with Expedition Impossible still appearing on the SABC3 schedule. I was just told Expedition Impossible is not a SABC3 show but a M-Net show and that Expedition Impossible with host Dave Salmoni will be starting on M-Net in the first half of February. In September SABC3 told me that the broadcaster has carefully selected Expedition Impossible to become one of the new premier primetime reality shows on SABC3 to alternate in the Monday night timeslot with seasons of The Amazing Race and Survivor. The plan was to create a new tripple play reality show brand on SABC3. Then, just over two weeks ago, SABC3 suddenly announced that it had to postpone Expedition Impossible at the last minute because it didn't get the first tape to broadcast. Then it suddenly emerged that the show will also not be starting the second week because of payment and trust issues between the SABC and international programme distributors and suppliers. Although it seemed temporary - and with Expedition Impossible still appearing on SABC3's advanced schedule for December and January - it's now emerging that SABC3 won't be having Expedition Impossible at all. The broadcasting rights for the show has been acquired my M-Net that will be starting the show in February. SABC3 didn't immediately have an answer on media enquiries made. What is sure is that the news will create shockwaves. SABC3 will also have to find more programming to replace the Monday primetime timeslot. And viewers promised a show, and SABC3 it is still happening, will hopefully have an answer as to what just happened.